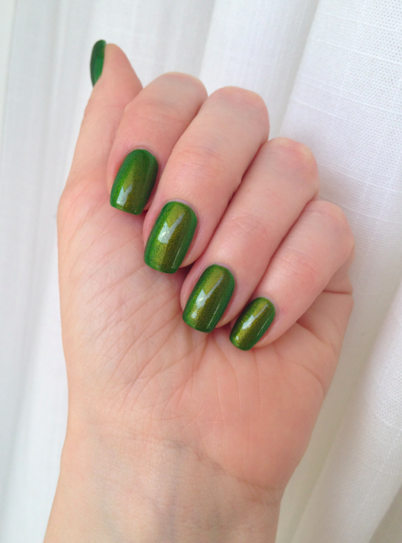 It's not easy being green? I beg to differ! 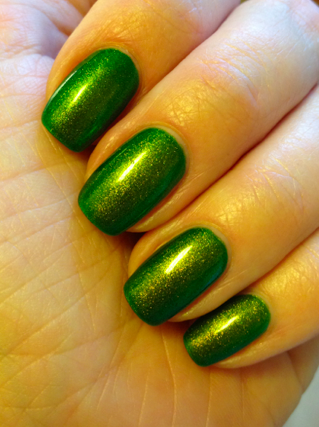 There's nothing shy about Shillelagh. 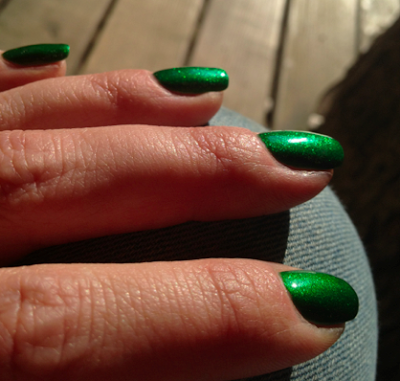 In fact, it's one of few polishes I prefer in in-door-lighting. That's when the shimmery pinkish/reddish hues show themselves. 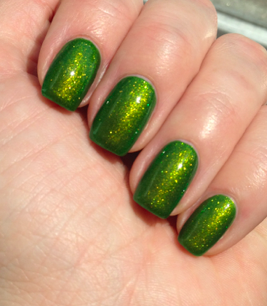 In the sunlight, this green will seem glittery rather than shimmery, and that's too much green for me actually. 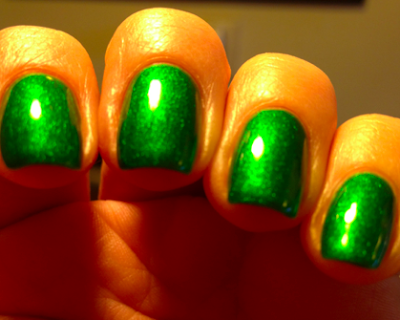 Thus, this will be a winter polish for me, something to remind me of cheerier, merrier times. 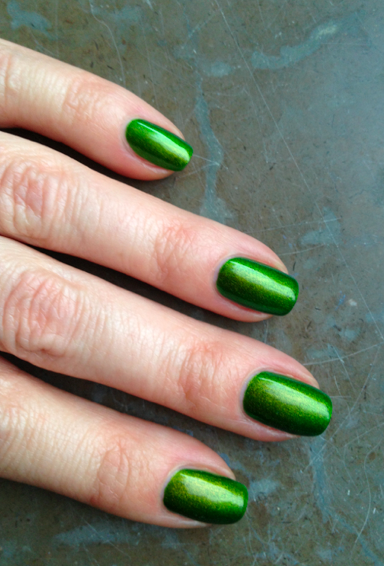 Below, I've applied three coats of Shillelagh and one of Poshé. 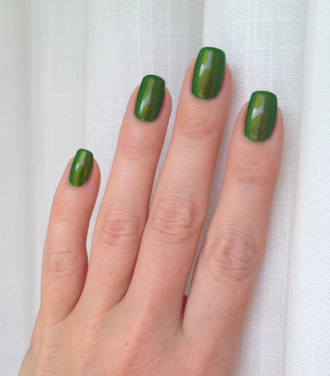 This is my entry for Green Wednesday at Karin's! WOW, vilket lack! Jösses vad duokromt och fint det var!